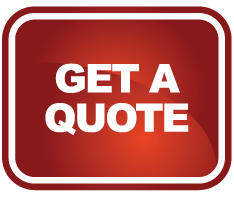 With over twenty years of experience, Donation Movers LLC is the choice for moving needs within the artistically and culturally distinct city of Chandler, Arizona. Founded in 1912 and incorporated in 1920, Chandler is a rapidly growing town with a population of 239, 335. 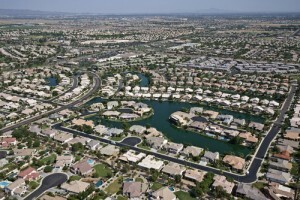 Ranging 70 square miles, Chandler has a vibrant community setting while also offering city amenities and activities. Home to 53 developed parks which include dog parks, recreational facilities, bike and desert habitat parks, and four aquatic centers and two community pools, Chandler offers a multitude of educational classes and active groups for citizens to participate in. The Chandler Public Library, Arizona Railway Museum, Chandler Center for the Arts, Chandler Museum and The Commemorative Air Force Museum offer educational resources for residents and visitors of the east valley city and promote the city’s strong support of education and culture. With continuous local attractions, there is always something to do in Chandler. Restaurants like San Tan Brewery and Kokopelli Winery in Chandler’s downtown district, along with events like the Multicultural Festival, Ostrich Festival Run & Parade, and the Cinco de Mayo Chihuahua Races keep the city alive and thriving. Chandler maintains its reputation for arts and culture through its continual sharing of the area’s history. AJ Chandler and Frank Lloyd Wright worked together in building the San Marcos Hotel, a landmark “oasis in the desert.” The city’s connection to design and the arts has helped give Chandler the unique personality it still carries with it today. The Chandler Museum uses artifacts and photographs to tell a cultural, historical and artistic story of the city’s diverse social and cultural history. The Chandler Center for the Arts opened in 1989 and has had over 2 million visitors since. Not long before the Center opened its doors, the Chandler Arts Commission administered the city’s Art in Public Places Program, placing unique works of art throughout Chandler for both residents and visitors to enjoy. Some works include a statue of AJ Chandler and Frank LLoyd Wright and a work titled “Las Brisas,” which is a Tree sculpture ramada and hummingbird arch.